Full service oil company and heating and air conditioning contractors servicing Middletown, CT and the surrounding areas. Welcome to River Valley Oil Service. We are a full service oil company and heating and air conditioning contractors servicing Middletown, CT and the surrounding areas. For more than 20 years, we have provided heating oil and heating and air conditioning services to residential and commercial clients. We are committed to providing unsurpassed service and our clients are treated with personal service directly from our owners, John and Michael DiMauro. Residential fuel oil – We provide an automatic delivery plan for home heating oil that is tailored to the needs of each home. We track your home heating oil usage and temperature to determine when you need oil and have your tank filled before you start running low. Commercial fuel – We provide heating oil delivery for small businesses, large businesses, and corporations with discounted rates available for heavy volume users ordering bulk quantities. Heating and Air Conditioning – Our technicians provide inspection of air conditioning units and heat pump units and routine maintenance to ensure that your heating and air conditioning system is operating properly. Oil and Gas – We provide installation of hot air and water heating systems, water heater repair and installation, tank removal, and custom duct work. 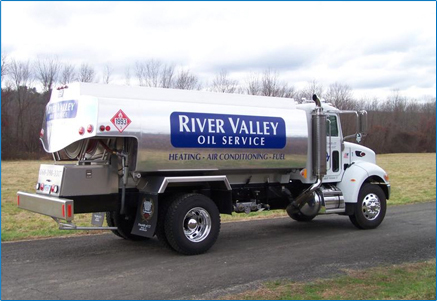 Whether you are looking for heating oil for your home or business or air conditioning and heating contractors in Middletown, CT, please browse our website to learn more about River Valley Oil Service, our services and what is included in our service contracts. 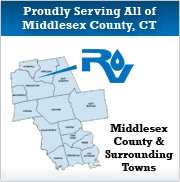 Please contact our office today at 860-342-5670 or 860-398-3317 for reliable service throughout all of Middlesex County, CT.
"Mike, thank you so much for your quick delivery. I look forward to doing business with you in the future for all my fuel needs."